Accurate Image is the premier provider for graphics and IT solutions in the construction industry. 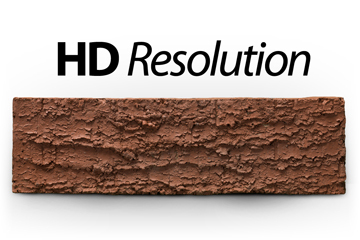 We use the latest photographic and scanning technologies to ensure that the color and texture of your building products are as accurate as possible! 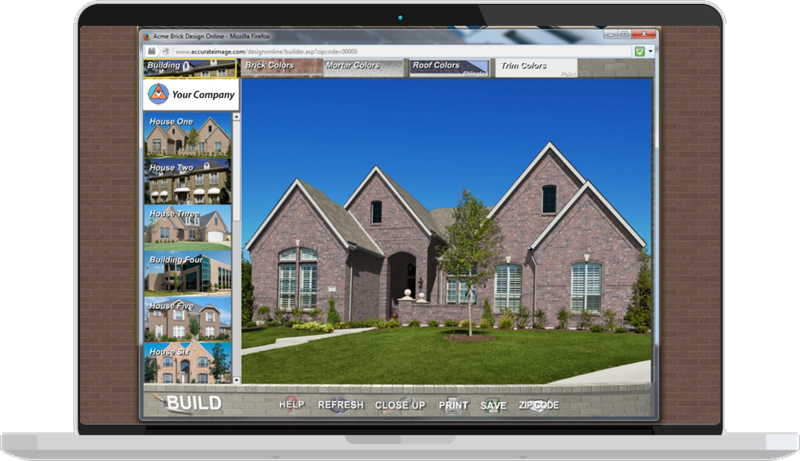 Once your visual data is produced, your firm can use it for software web site content, apps, brochures, or any other medium you choose. 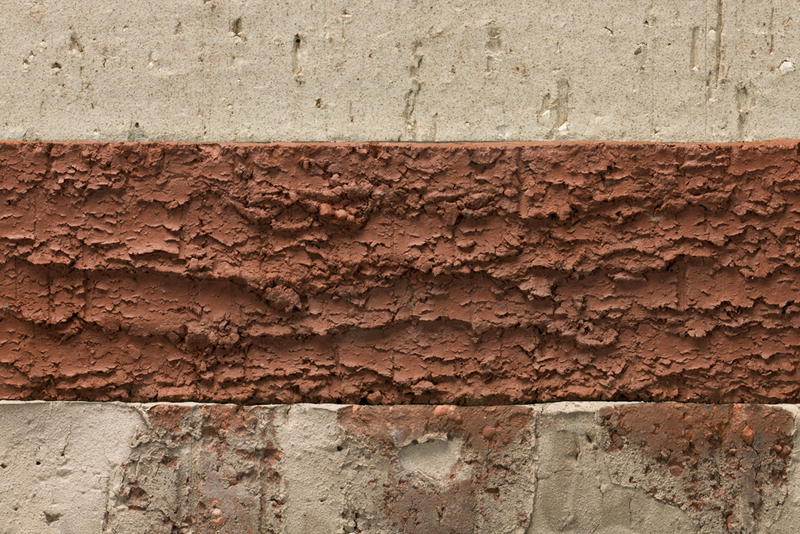 We have worked with some of the biggest names in the building materials industry including Acme Brick, Basalite Concrete Products, and Belden Brick. Our focus is to bring your catalog of products to the finger tips of your customers and make the decision process as smooth as possible. Click below to get in contact with us. 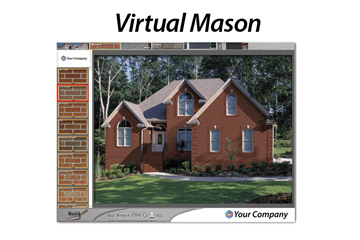 Virtual Mason allows home buyers to build the home of their dreams! 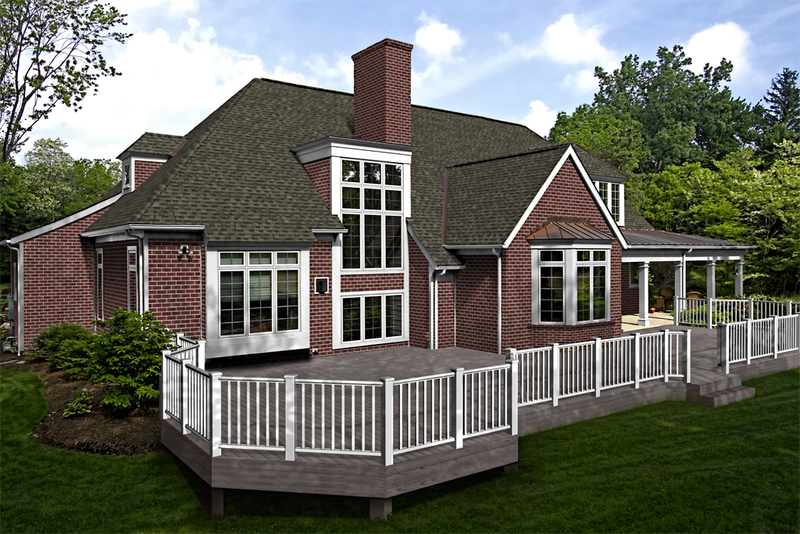 The user can select and modify any part of the house including siding, roof, trim, doors, windows, landscape walls, etc. 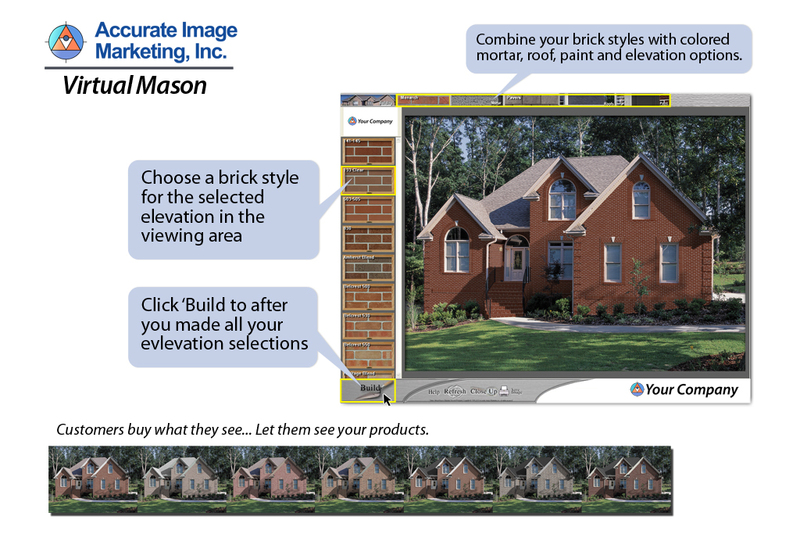 Customers buy what they can see and Virtual Mason allows your customers to visualize their home before it's built. 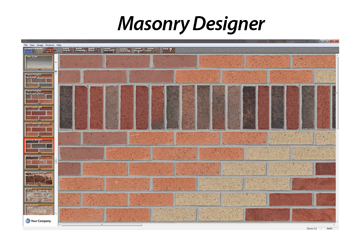 Masonry Designer allows you to create wall samples using your products! 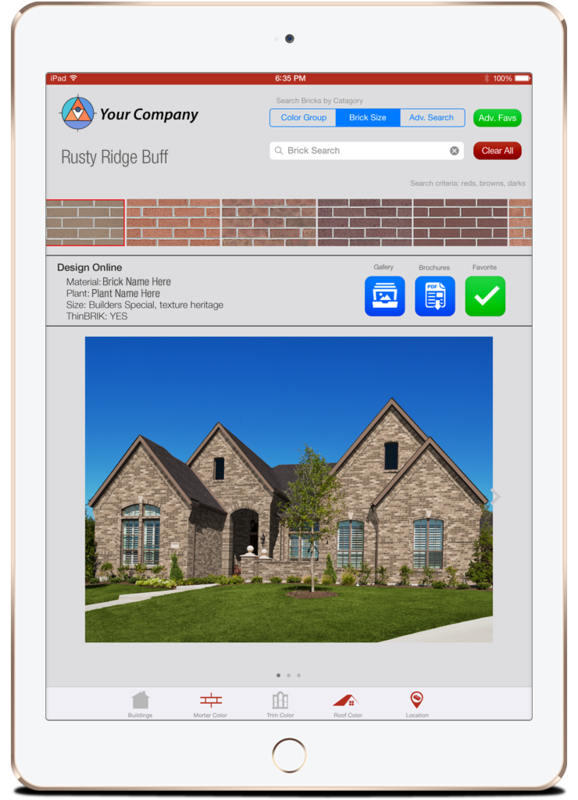 Architects, designers, and salespeople can build mix and match brick, block, mortar, stone in any pattern that they wish. 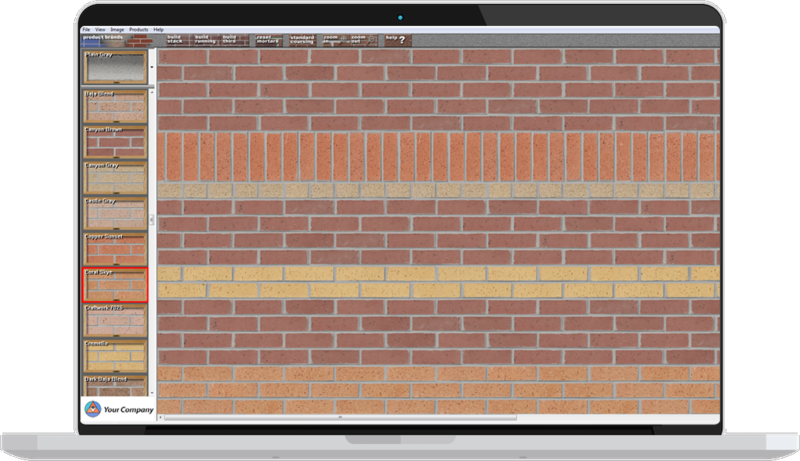 These walls can be saved, printed, posted online, and exported to be used with other architectural software such as Revit. People buy what they see. Let us help you show them. 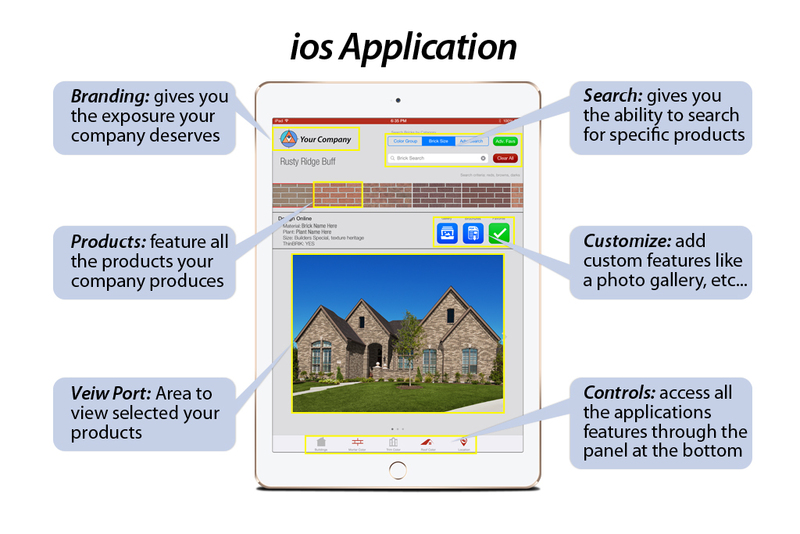 The various programs from Accurate Image can also be delivered for a tablet, phone, and other smart devices. The gallery feature allows you to have a variety of pictures and product shots for individual products. 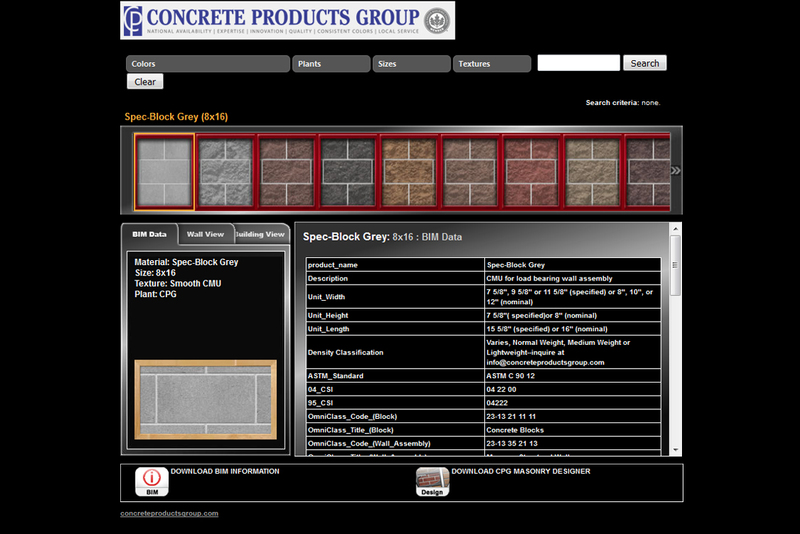 This section can link to a webpage with any infomative brochures you may have for your products, etc. This function allows the user to enter location information so that only products in their area are available . Multiple tabs allows us to combine a variety of powerful tools into one application for your customers or sales team. Favorites allow you to save a list of products and send them to a recipient, in turn they can load into their app. 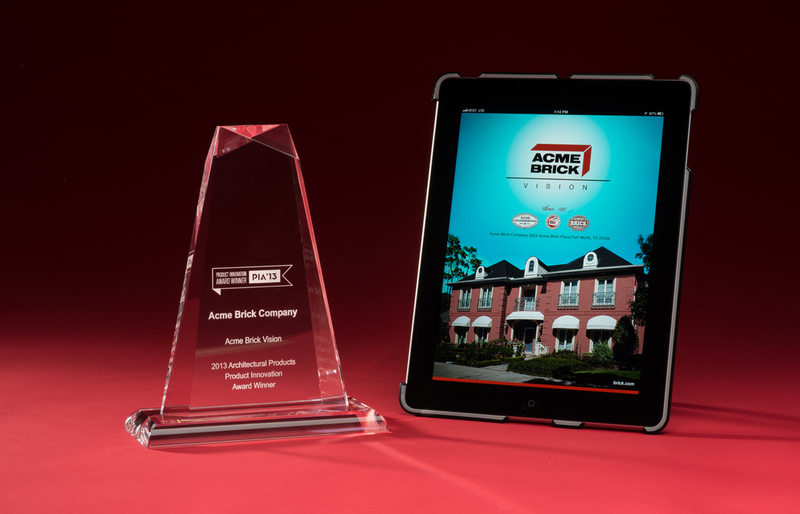 View the award Acme Brick Vision Won for Product Innovation from Architectural Products Magazine. 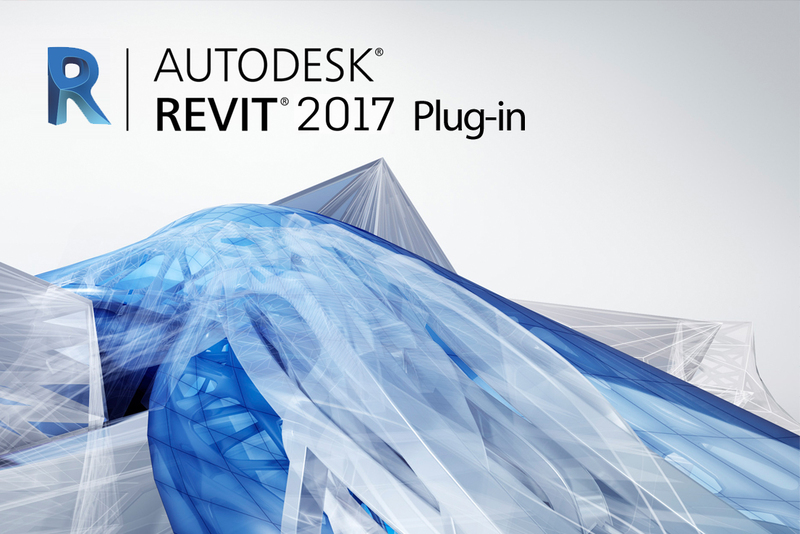 Take your next building project to the next level with our powerful Autodesk Revit plugin. 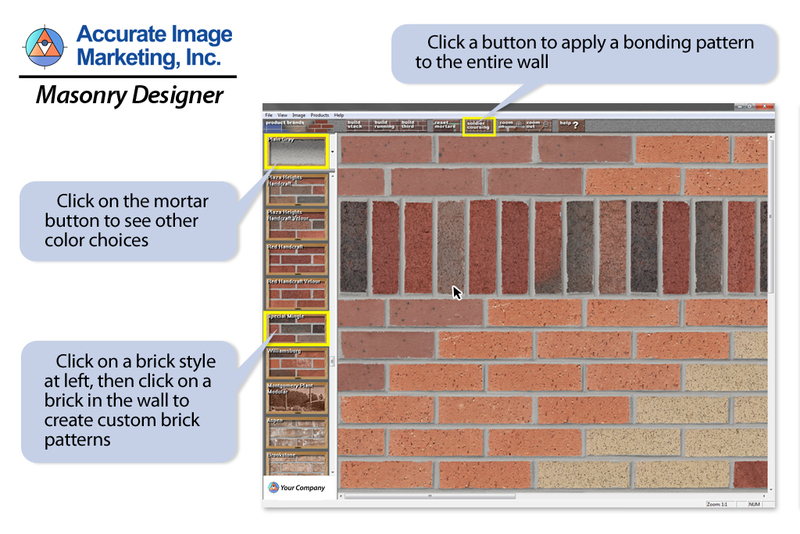 Design your house and use or Revit plugin to populate real world brick products into your project in a few simple steps. 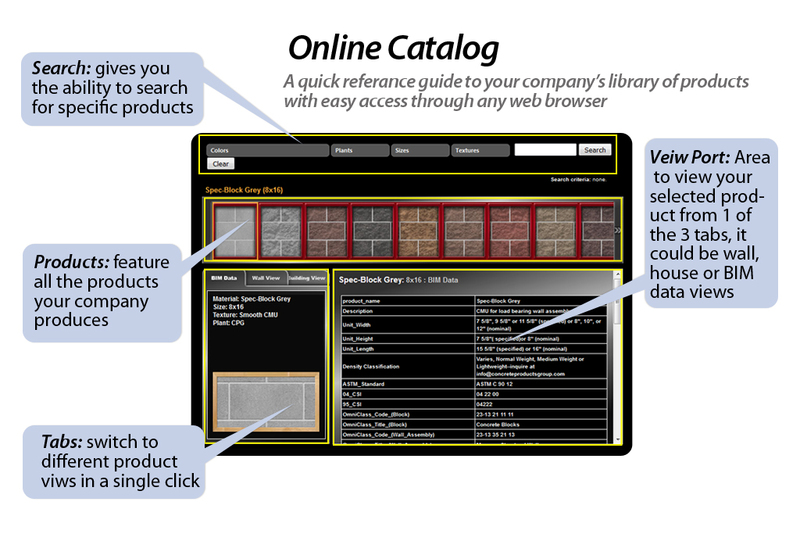 Access your line of products from any web browser and use the many powerful tools that join the best parts of all our programs into a user friendly web based program. 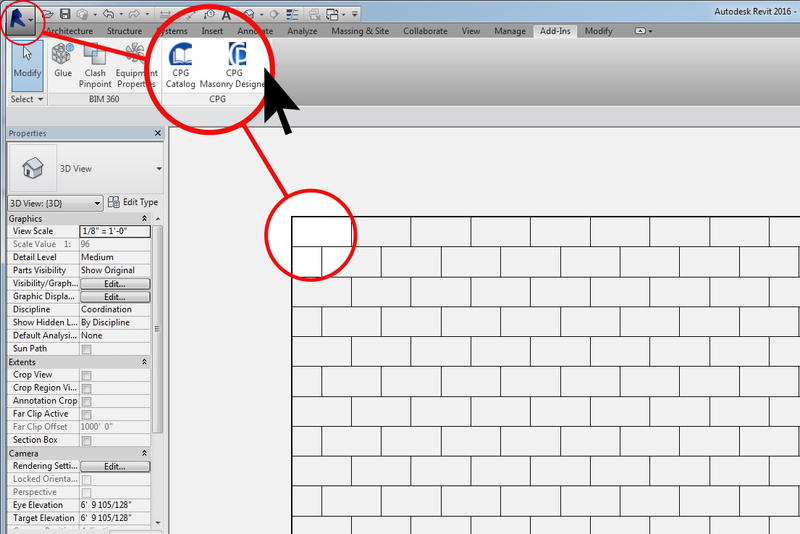 We have taken our Masonry Designer tool and packaged it into a Revit ready plug-in, a great tool for Architects to incorporate your actual products into their working projects. We provide BIM usable data with all of your products which can be instantly transferred into your current Revit project, offering a seamless workflow from begining to end. This video demo gives a step by step process on how to include your firm's products into your next Revit project. 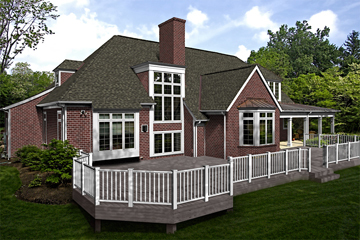 Utilizing the latest in BIM technology and assuring your using the correct products for the job. No more having to use generic materials to tell your story. We use the latest photographic and scanning technologies to ensure that the color and texture of your products are as accurate as possible! Once your visual data is produced, your firm can use it for web site content, apps, brochures, or any other medium you choose. 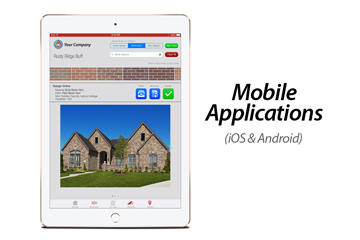 Software to modify a house including siding, roof, trim, doors, windows, landscape walls, etc..
Visualization applications to feature your product line to your customers using mobile devices. 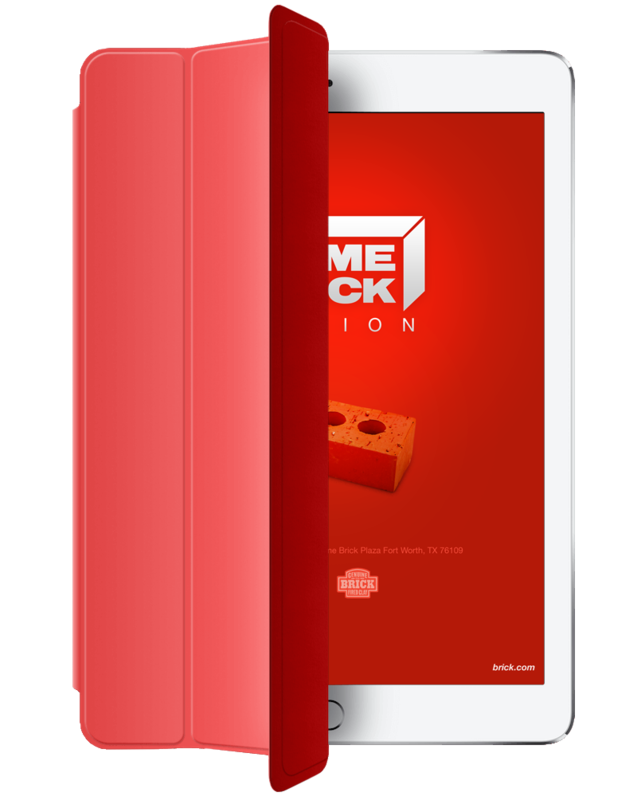 Remember heavy clunky brick samples? 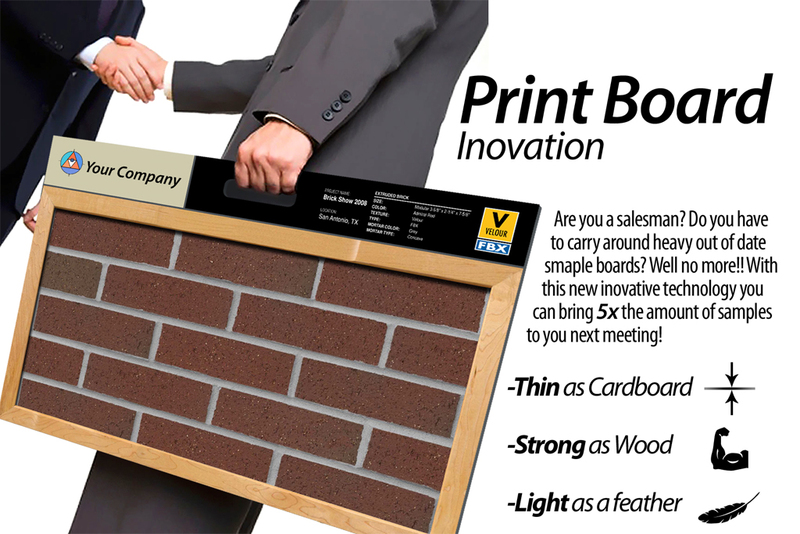 Our new print board inovation is lightweight and color accurate. We employ the latest in photographic techniques and hardware to capture your products with real world accuracy. 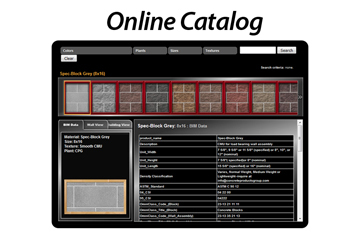 Access your products through a custom catalog built to be ussed on any web browser. 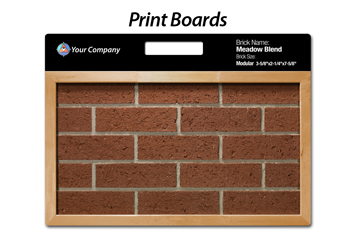 From design tools, print materials and web applications, we want to get the most out of your products. People buy what they see and our job is to make sure they are as accurate as possible. Download and explore the many features this robust app has to offer, such as location services. Stay up to date with our latest inovations by joining the Accurate Image email list. Accurate Image will design, develop, and turn your project into reality. 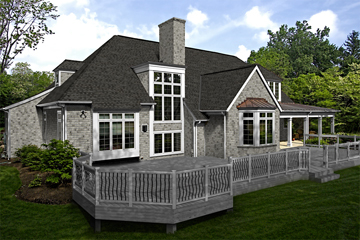 Accurate Image is the premier provider for graphics and IT solutions in the construction industry. We use the latest photographic and scanning technologies to ensure that your building products are as accurate as possible!